Nokia has launched 2730 classic, the cheapest Nokia 3G phone in India. 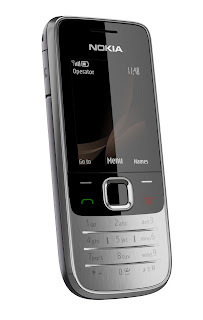 The Nokia 2730 classic has fast 3G internet access so you can stay on top of events, keep up with email and connect with friends right from your phone. Nokia 2730 classic is available in black and dark magenta colours and priced at Rs 4,499. Nokia 2730 classic is Nokia Life Tools compatible. E - Waste The Upcoming Threat Beware....!!! !